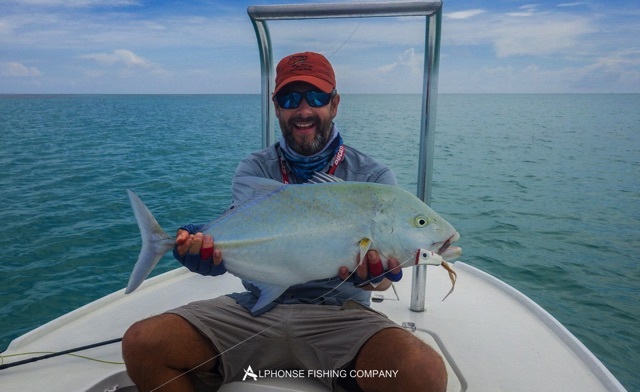 The start of week 7 brought bad weather to Alphonse, with a tropical depression sitting over the islands on day one. 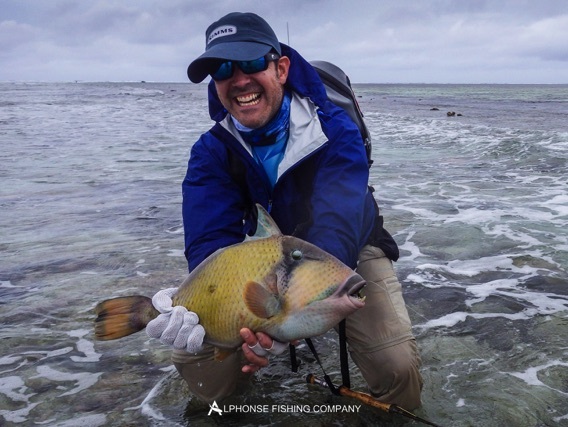 The high winds and intense rain made for challenging fly fishing, however our guests were up to the task and the Alphonse flats delivered with a beautiful moustache trigger being caught in the surf by Johannes Viljoen, his first saltwater fish on fly. 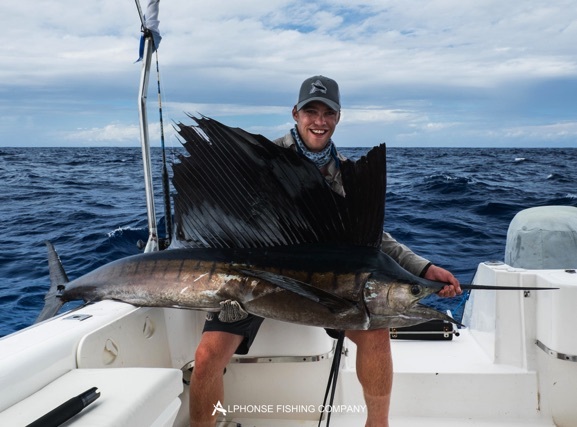 Andrey Malshakov tried his luck casting a classic NYAP over a coral head and was richly rewarded with the first GT of the week, a monster fish measuring 107cm. 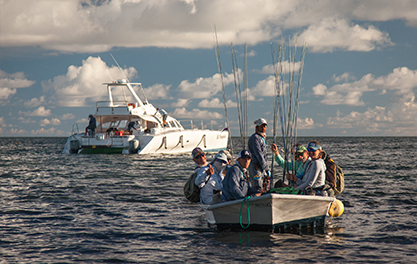 As the week progressed and conditions became much more fishing friendly, a clear GT champion of the group emerged. 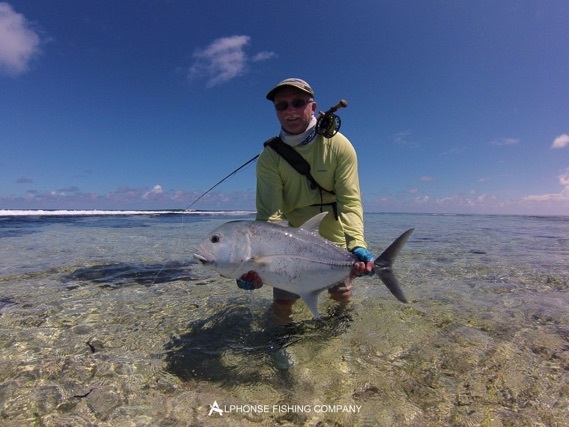 Vadim Velachko caught a GT on 4 consecutive days. 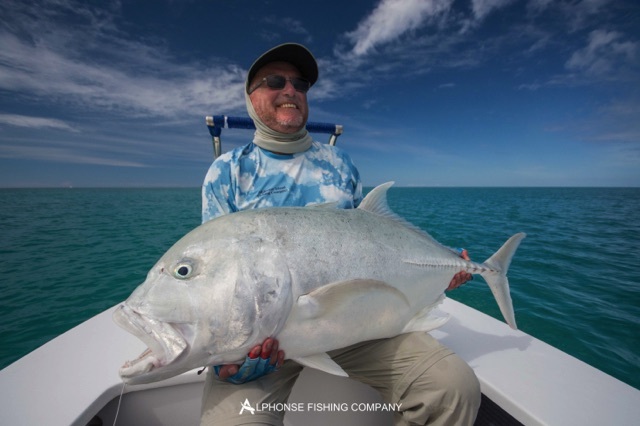 His hat trick fish on day four was the biggest GT of the season so far measuring a whopping 111cm! 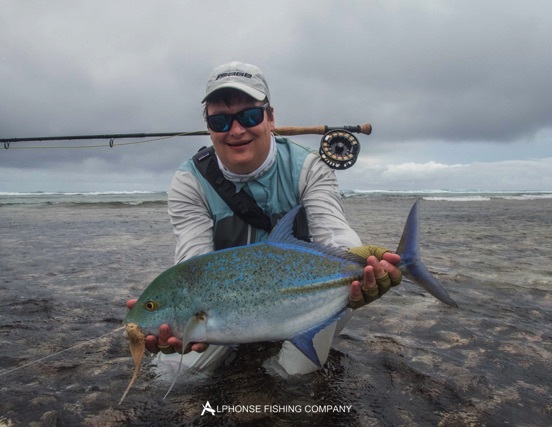 Also on day four Johannes Viljoen continued the great start to his saltwater fly fishing career by catching his first ever GT. 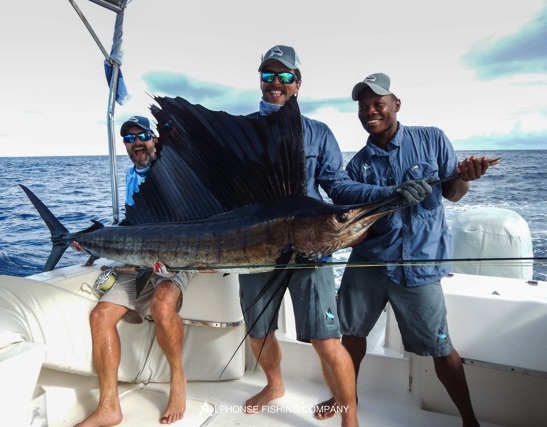 For Johannes the day just got better and better, in the afternoon he was picked up off the flats by the bluewater team and caught a magnificent sailfish on fly to go with the bonefish and GT in the morning to complete a spectacular “Bills and Bones Slam”plus GT. 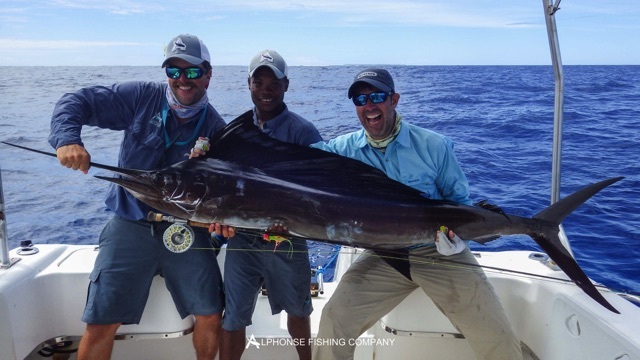 To top the day off his boat partner Mark Holmes also caught his first sailfish on fly to complete the second “Bills and Bones Slam” of the week. 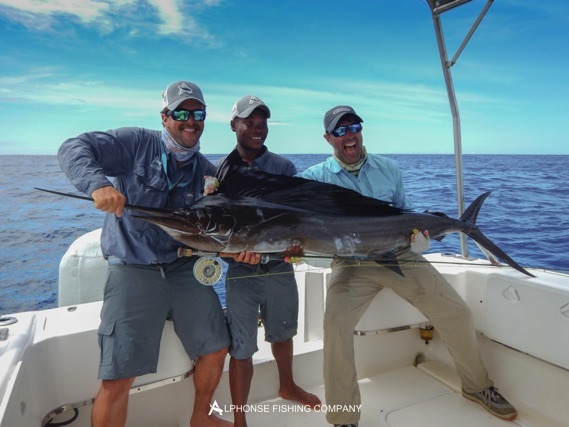 As the week came to an end it was noted that there were many firsts for the guests this week. 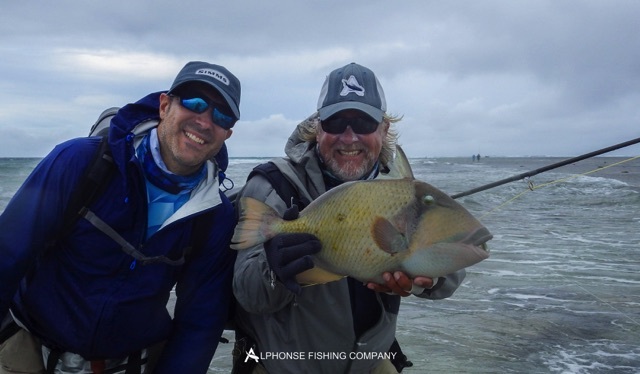 Evgenii Matiunin who was on his first ever saltwater fly fishing trip rounded the week off nicely by catching his first triggerfish, a tricky moustache trigger in the surf. 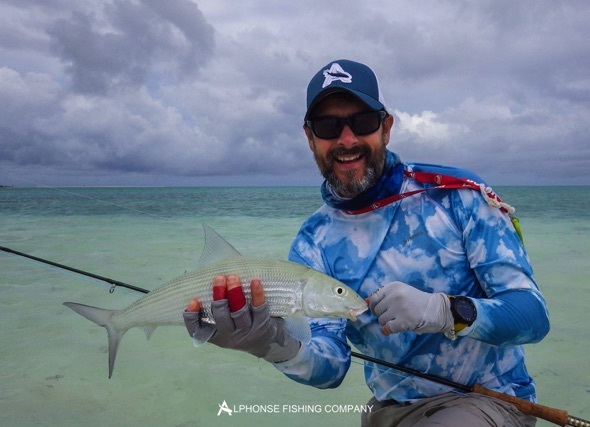 Another great week on Alphonse Island with some spectacular highlights.